306 total news articles in this section, 10 per page. 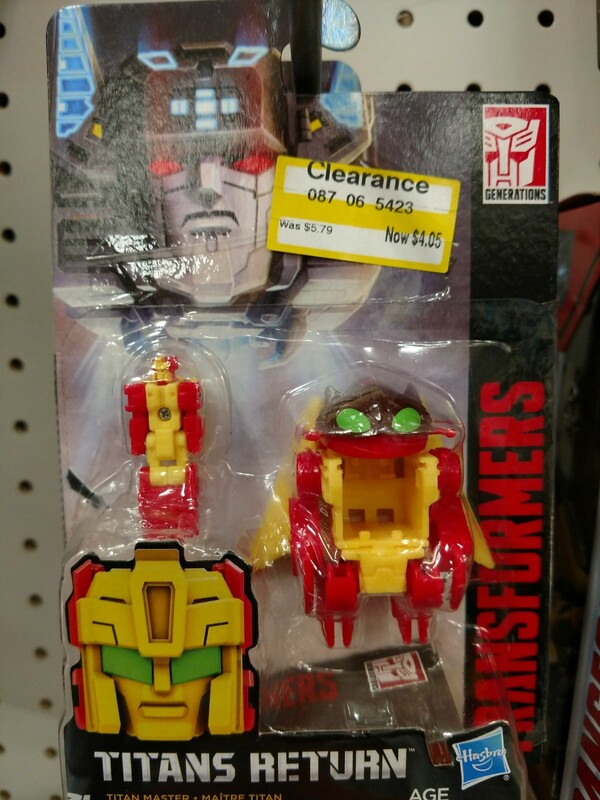 Steal of a Deal: Titans Return Figures and More on Clearance! 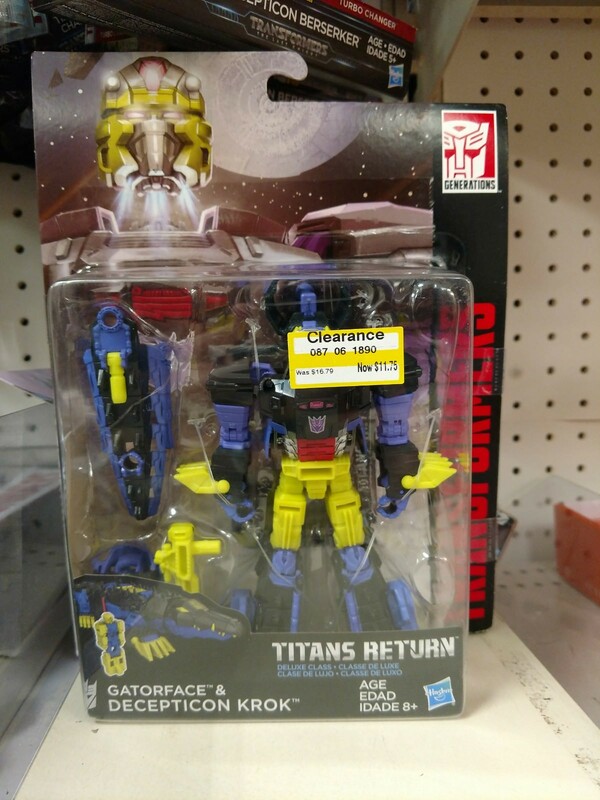 Many of our readers have come across Titans Return Figures on clearance at their local Target stores across the US. We have several images to confirm this, which we have posted below so you can see which items have been clearanced. Of course this may vary from store to store. 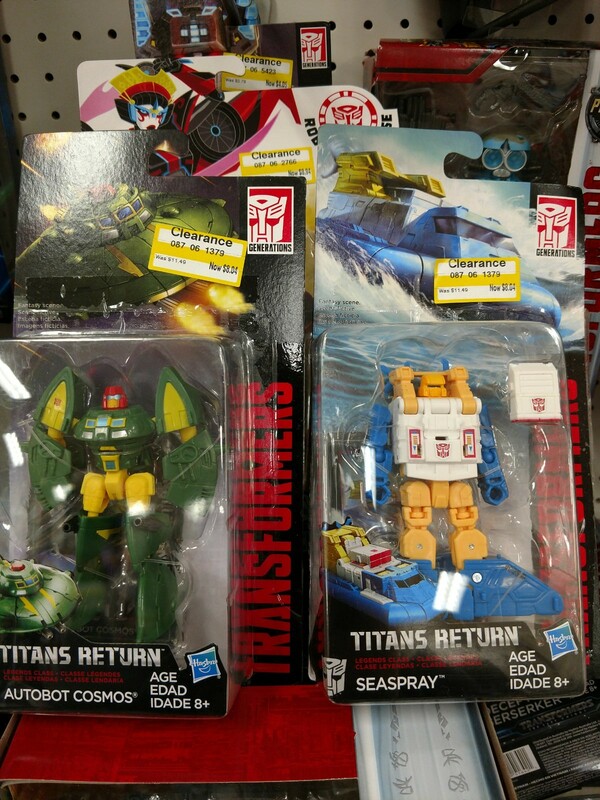 It may be worth the trip if you'd like to get a good deal on Titans Return figures while Target stores make room for Power of the Primes. 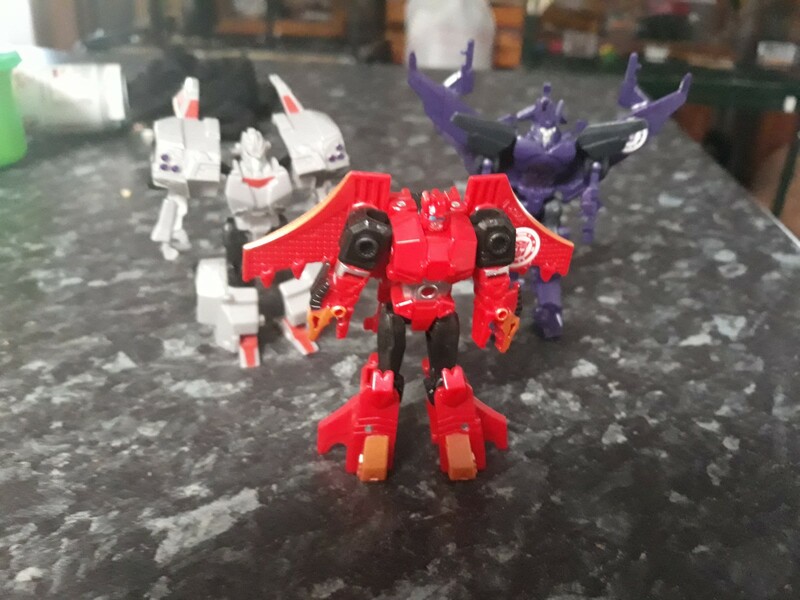 There are also some Allspark Tech, Rescue Bots and Robots in Disguise toys in the mix, so you never know what you may find. 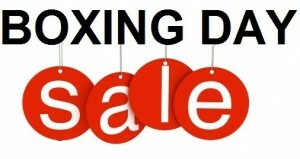 The boxing day sale is on right now at both Toysrus.ca and Amazon.ca. They seem to be matching eachother's prices for deluxes, as you will see in the list below an each have other items on sale. In many cases, these are the very best prices these toys have ever been all year. For any American curious as to what the prices are in US dollars, just substract 20%. Transformers: The Last Knight Deluxes are around the $15 mark at both Toysrus.ca and Amazon.ca, with Berserker being only $11 on Amazon. 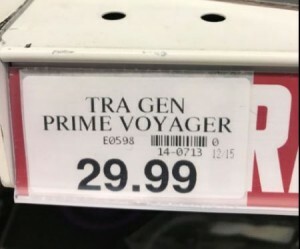 Titans Return Voyagers are $20.97 at Toysrus but Octone is only $11 on Amazon. 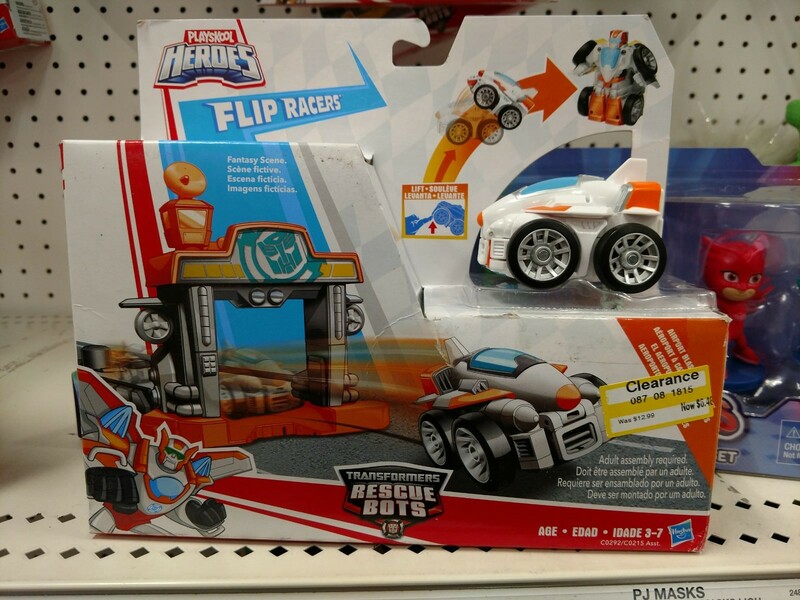 RC Sqweaks is only 49.98 on Toysrus. 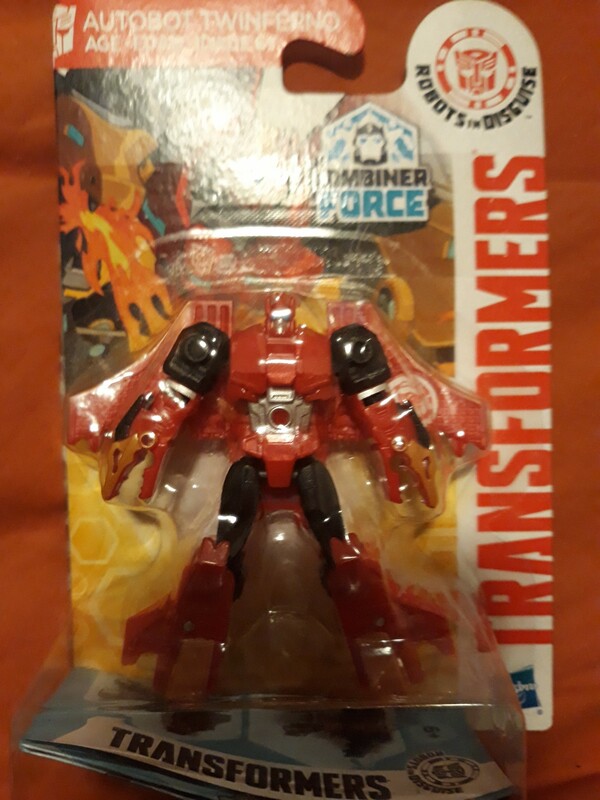 Amazon.ca also has Voyager Scorn for $25, Robots in Disguise Galvatronus for $23, and Transformers Rescue Bots Boulder Arctic set for only $4 (down from $30). Let us know in the discussion if you find more deals uring this festive time and happy holidays to all! We have some big news coming out of our friends up north! 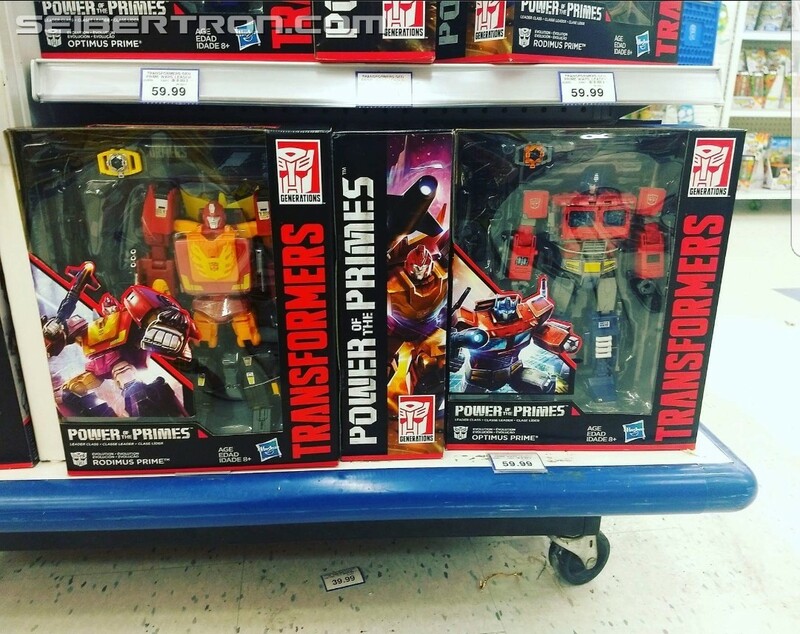 We have confirmation that the Power of the Primes Leader Class figures have been spotted at a Toys R Us In Broussard, Quebec! While all the other size classes have been spotted, the leader class figures have been notoriously hard to find all around the world. 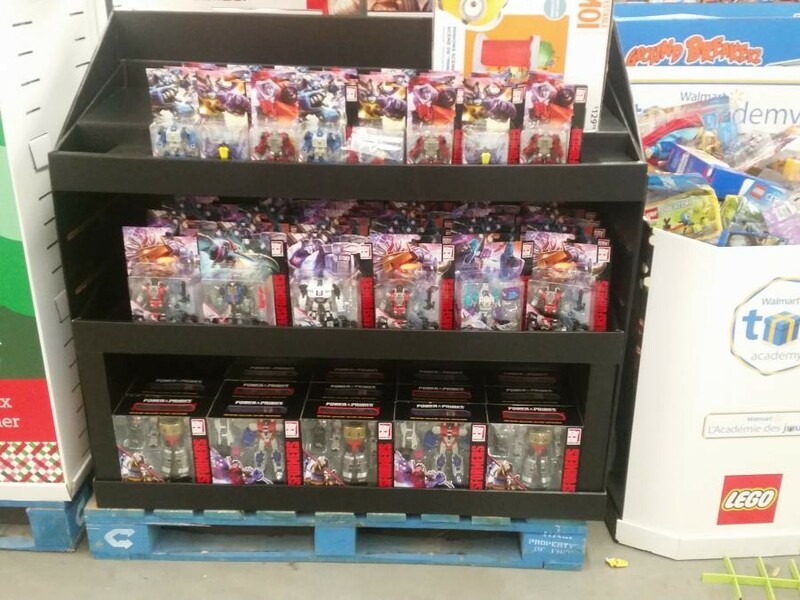 We have some photographic proof, as Well, of the wave 1 assortment (Optimus Prime and Rodimus Prime) on store shelves, from Seibertron reader Daniel on Facebook. 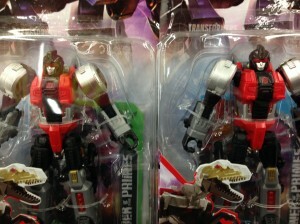 Daniel also spotted the wave 1 Prime Masters and Voyager Starscream and Grimlock at the same Toys R Us store! Get hunting, Canadian fans, and let us know down below what you find! 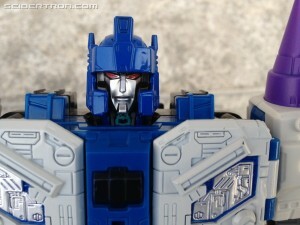 Transformers Titans Return Leader Overlord is now available for $30 and change on Amazon.com. There are currently only 14 hours left to get this great deal, so you better be hasty! 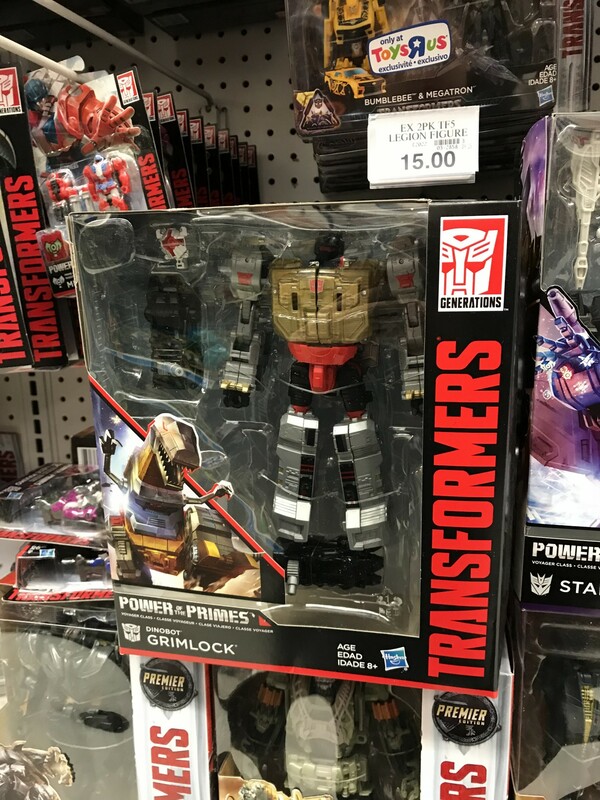 For those unaware, this is the first time Hasbro proper has ever released an Overlord toy in the US. To mark this glorious event, Hasbro went out of their way to make sure the colours used matched perfectly with the original G1 toys we never got. So now is anyone's chance to get it for a great price. You can plug in two Titan Master in his chest, as can be seen in this pictorial review. With the ending of any Transformers toyline, there's always the worry that line-ending waves (and any new figures in said waves) will be hard to find or in some cases, won't be found at all. 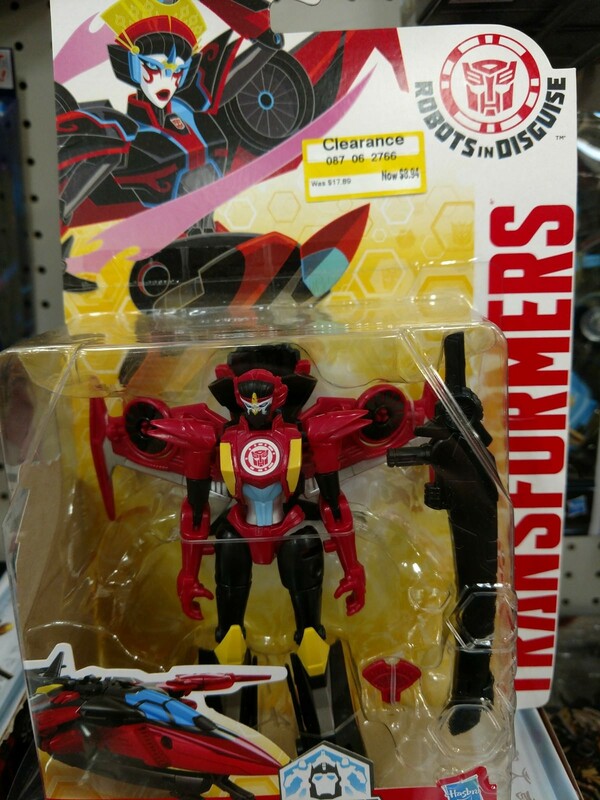 In the particular case of the Robots in Disguise line, the final waves of Legion-class figures, distribution has been spotty at best, but thankfully, seems to be making it to more and more markets. Thanks to fellow Seibertronian Prismartyr, we can report that Legion-class Twinferno has made his way down under to Australia! 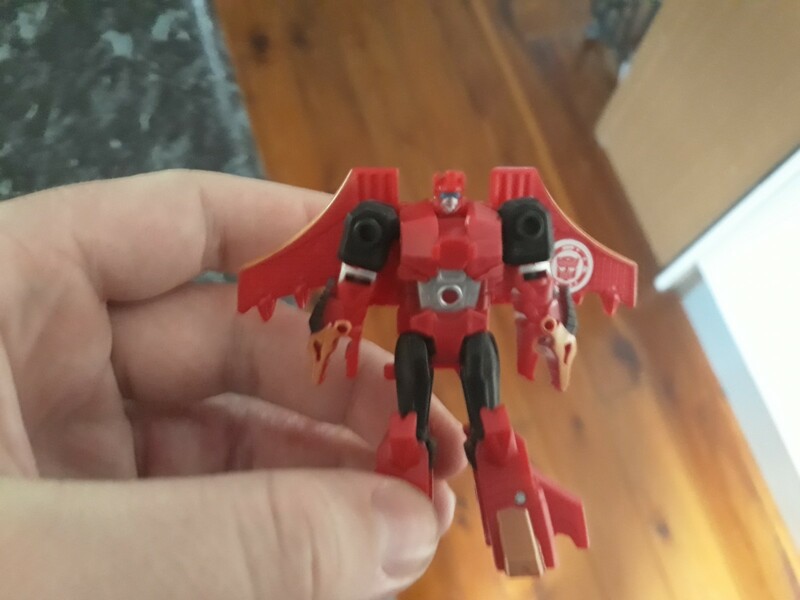 He sent us some in-package and in-hand images featuring the tiny dragon-headed/handed Autobot, found at a Coles store in Lisarow, New South Wales. 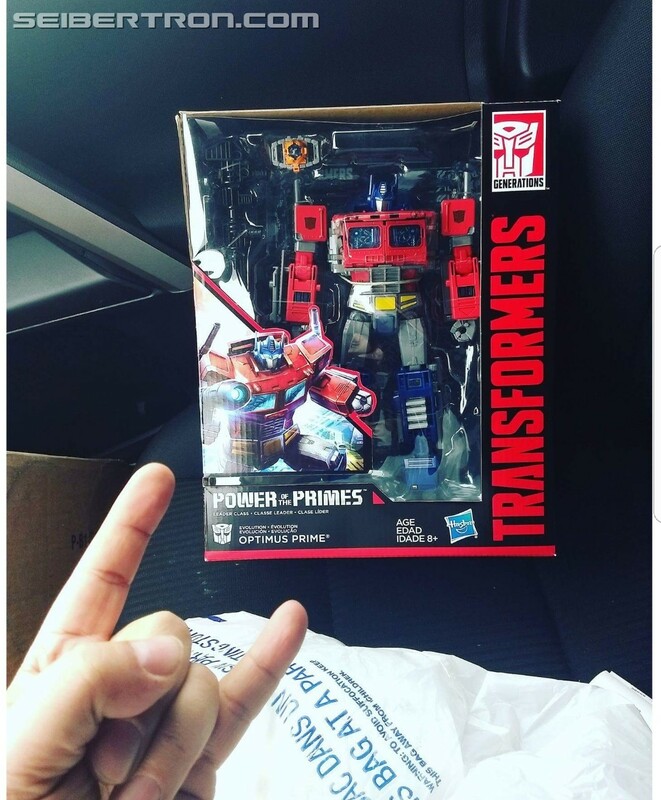 Have any of you found Twinferno or other line-ending figures in your corners of the world? If so, please take a moment to note your sightings here, on our sightings page, and in your own, local, sightings forums! 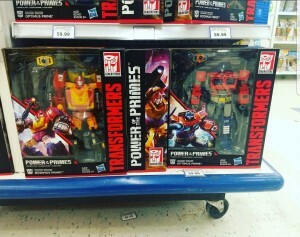 Friend to the site, Scottimus Prime, found the deluxes, primes masters and voyagers from Transformers Power of the Primes at a Lake Grove Toysrus in Long Island, New York. 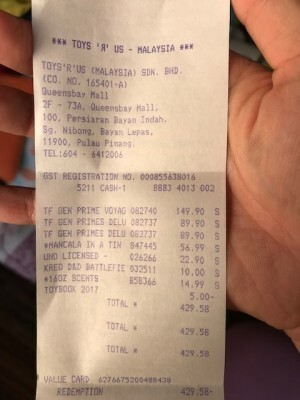 This is the first sighting for Voyagers Starscream and Grimlock at US brick and mortar retail as well as the first worldwide sighting for the Prime Masters at brick and mortar retail. 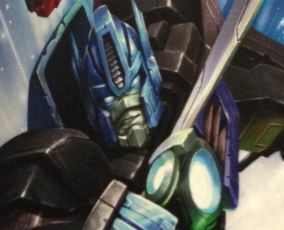 The Wave 1 Prime Masters include Liege Maximo and Skullgrin Decoy Armor, Micronus and Cloudburst Decoy Armor, as well as Vector Prime and Metalhawk Decoy Armor. You can read more about all upcoming waves that we know of here. 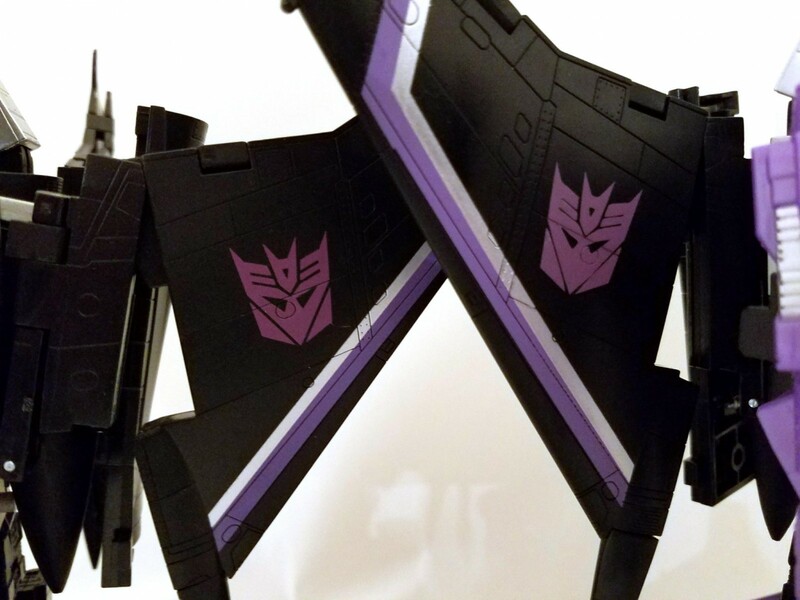 Regarding the voyagers, we also have a pictorial review of Starscream for those who want to know more about the figure before purchasing. 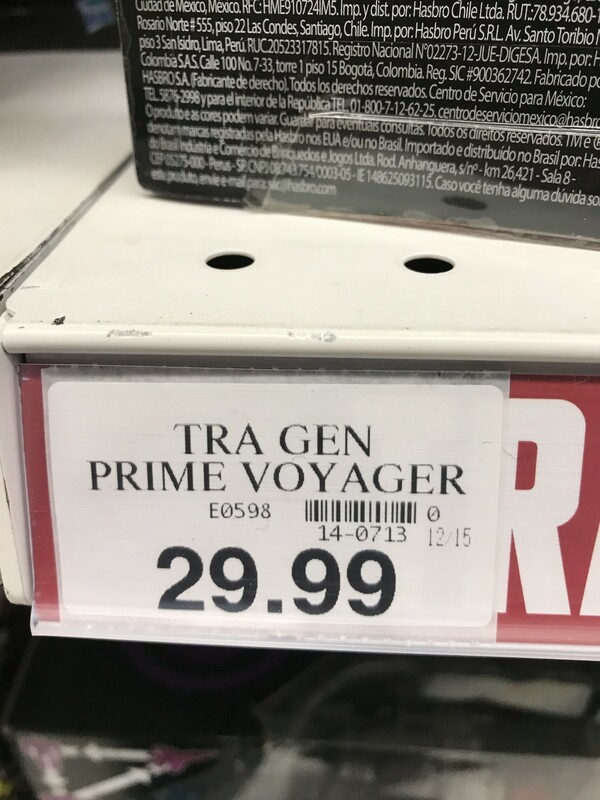 And there might be some hesitation because this news also shows us the price these voyagers are going for: $29.99 USD. This is the MSRP price jump indicated by Hasbro in their official product descriptions. 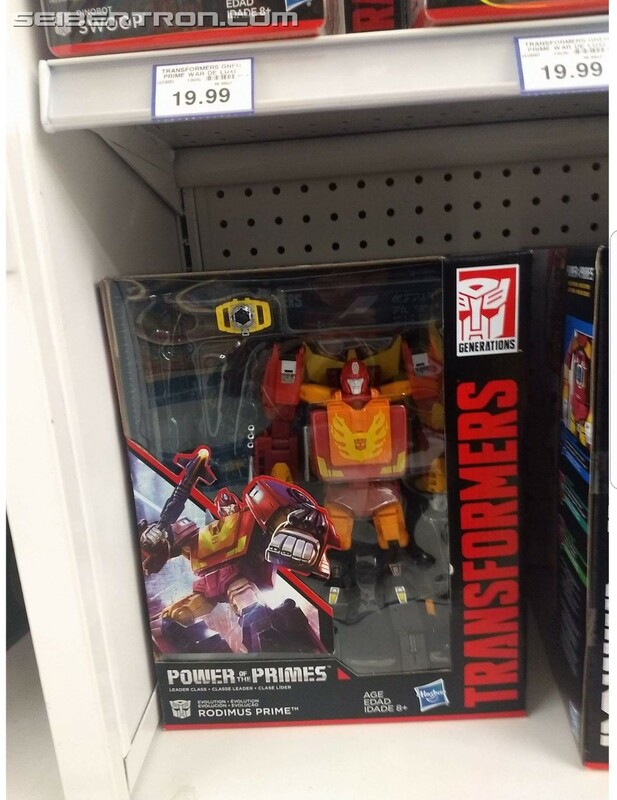 The Prime Masters also show that price jump in comparison to Titan Masters, where they are $5.99 USD, so one dollar more. 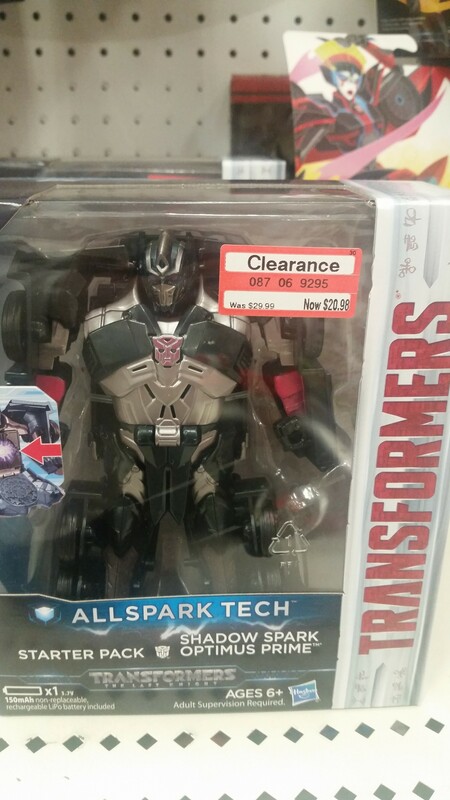 The Deluxes however, show a price of $16.99 which is less than the $19.99 MSRP. You can see all MSRPs per class here. 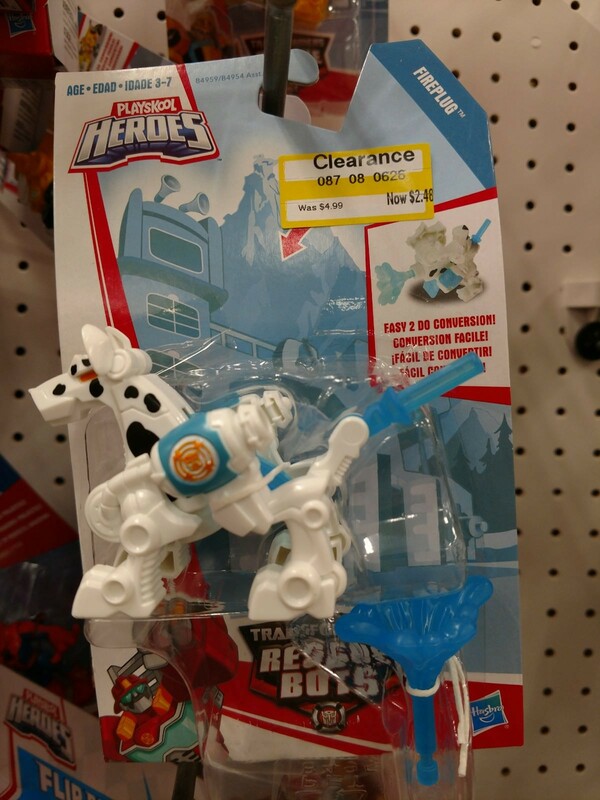 These toys are also listed on the Toysrus website but not currently available. We did place a screenshot below to show the prices of each class. These are the hottest toys right now among the fan community so please post your findings in the sightings section and sightings forum. 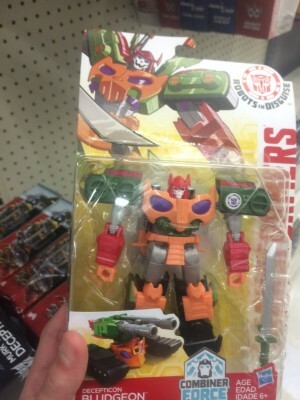 The Robots in Disguise wave of warrior class figures including Thermidor and Bludgeon has finally hit the US, half a year after this final wave hit the rest of the world. It is great news though since final waves usually suffer from lack of proper distribution due to retailers preferring to stock a new line. 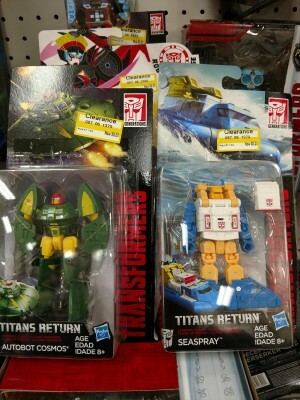 This particular sighting comes from MegaX Master who found Robots in Disguise Thermidor and Bludgeon at Walmart in Rifle Colorado. For those curious to see what these toys are all about, or for those hesitant about purchasing these, we have a pictorial review of Bludgeon and Thermidor. There is only one of each of these in every case of eight figures. 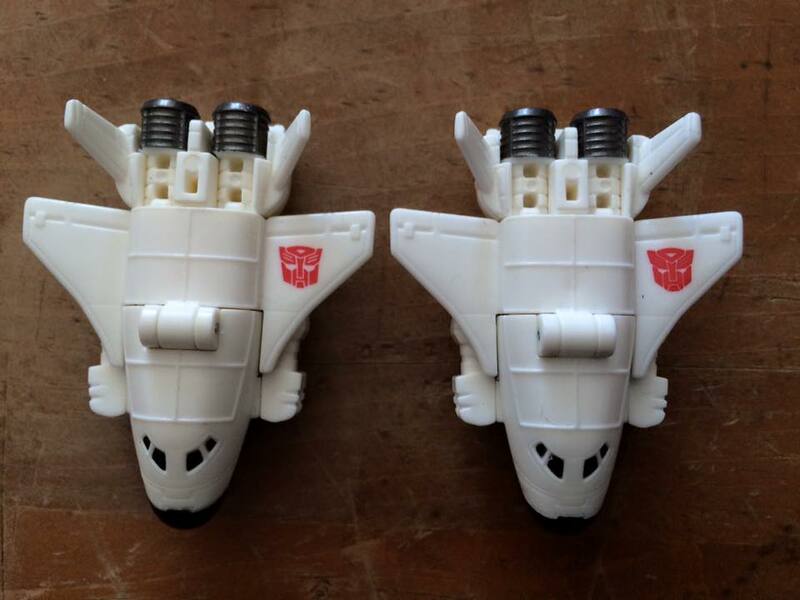 These two have been highly anticipated by Americans who really hoped not to have to resort to the secondary market so please post your findings in the sightings section and sightings forum. 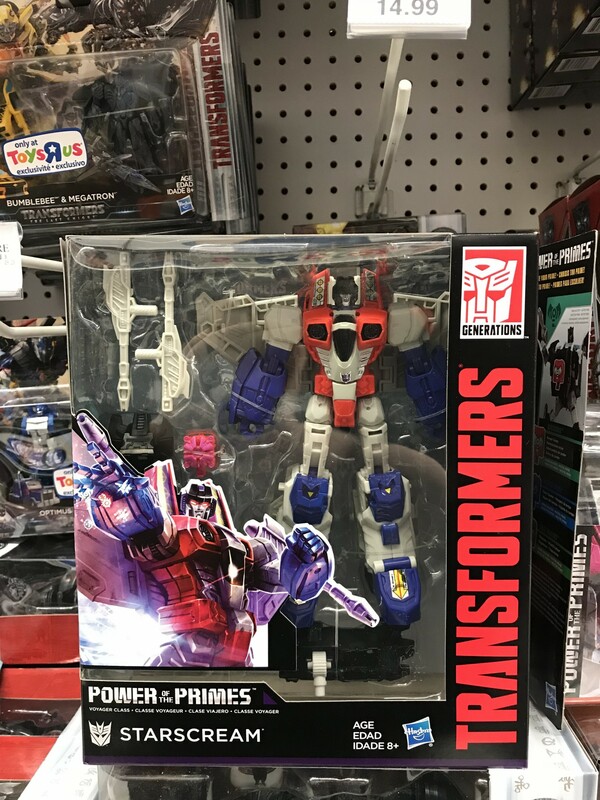 While the United States was the first to see any Power of the Primes figures at retail, they seem to be spreading out to retail in various parts of the world, as evidenced by the recent finding of the line in Singapore and then in Canada. Now, we can add Malaysia to that list! 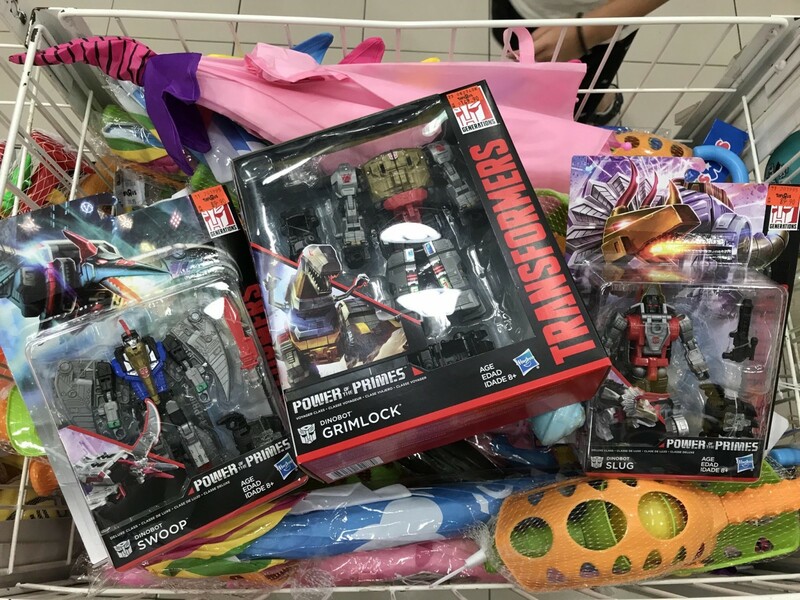 Seibertronian Jasmon has sent us pictures of his haul, found at a ToysЯUs at Queensbay Mall in Bayan Lepas, Malaysia. 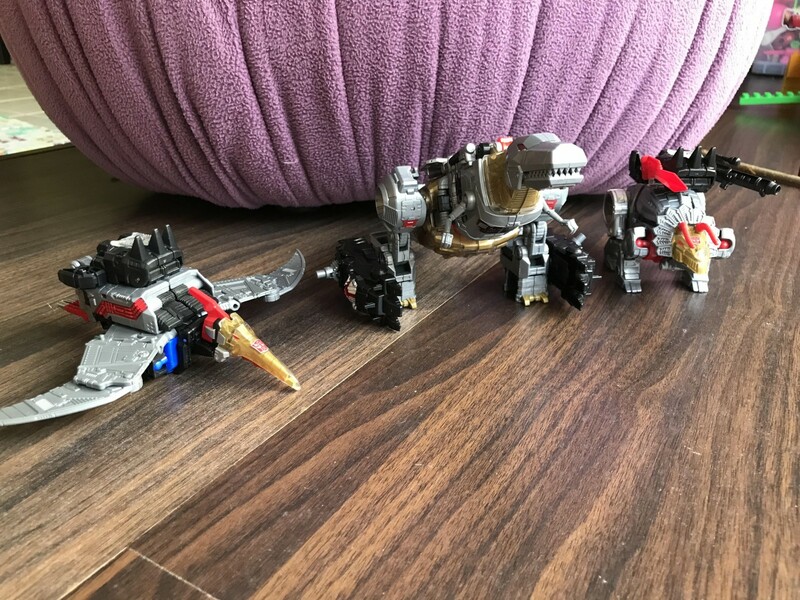 Jasmon found the Dinobots Grimlock, Swoop and Slag Slug at the price of R149.90 and R89.90, respectively, which works out to US $36.75 and $22.04. He also sent us some in-hand pictures of the trio! Still no Leader Rodimus Prime or Optimus Prime to be seen, though. 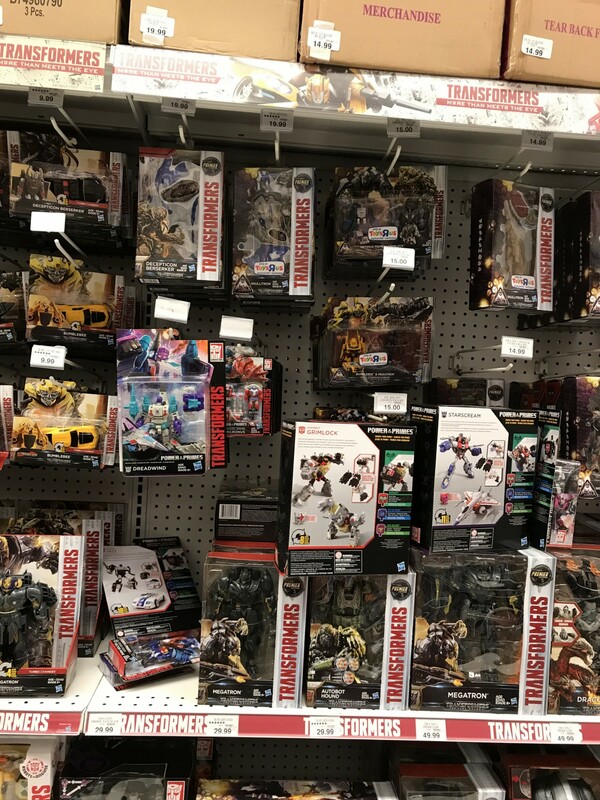 If you find those figures, please shoot us an email at sightings@seibertron.com, and be sure to list your own sightings on our sightings page and in your local sightings forums to help out your fellow collectors. Happy hunting, everyone!